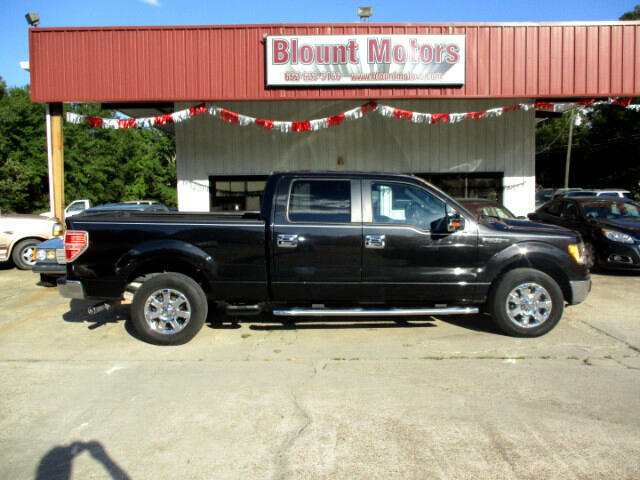 THIS A DOUBLE, DOUBLE SHARP '13 FORD F150 SUPER CREW XLT PICKUP INSIDE AND OUT. IT HAS THE TOTAL CHROME PACKAGE. IT IS TRULY A "BLACK BEAUTY".. ITS A ONE OWNER.A NEW SET OF TIRES. THIS PICKUP LOOKS LIKE NEW, INSIDE AND OUT. Auto Check shows no reported accidents. It comes with our 6 months/6,000 miles, whichever comes first,bumper to bumeper 50/50 limited written warranty. THE SUGGEST NADA RETAIL PRICE IS $17,850.00. THIS HAS GOT TO BE THE BEST BUY ON OUR LOT.